Choosing acting as a profession is a brave and wise, yet crazy decision. But, it is also a choice you will never regret if you really love the craft. Leading the life of an actor will allow you to look deeper into yourself, the people around you and your environment, in ways you have never thought possible. Getting acting jobs can be fun and frustrating, at the same time. It is going to teach you about yourself and the complexities of human nature, not just of your own, but also of others. It is like molding clay. Before you start putting it into the potter’s wheel, you have to knead it well, so it can reach a consistency you can work with. So, regardless of the formal acting education you may have gone through, you will not really be fully prepared to step into the acting world if you do not know of the different acting opportunities the industry has to offer. You need to understand what they are, so you can find the right one that will perfectly match your talent and skills. ‘How can I audition for a movie?’ This is a common question aspiring actors ask themselves. This may have been the first thing you asked yourself the moment you decided to become part of the entertainment industry. Since the camera can capture the smallest of gestures and enhance it up to 20 to 30 times, film acting demands a less flashy body performance from the actor depending on what the director wants. However, you have to project a narrow focus. Think about when you’re talking to someone, you have to look at that person in the eye. You have to know how and when to look at the camera. Film acting allows the camera to read your thoughts. So, you have to learn how to emphasize the subject. In movies, while you can speak fast, you need to act more slowly. Believe it or not, you don’t have consider getting film acting jobs a challenge. Although there may be times when this is the case, there are actually three simple steps you can take that can provide you with amazing results. If you want to become a film actor, you can’t just go ahead and look for work right away. Instead, you go through a process, with the first step being learning how to really act. After all, this is going to be your job. While there are people who have an innate acting talent, there are those who work at enhancing what talent or skill they have through taking acting classes or workshops. Regardless of what you are planning to do yourself, the important thing is that you are aware of what your skills and talents are as well as ready to take them to the next level. There are distinctive opportunities offered in certain locations. If you really want to stay where the action is at, then you should relocate to the major acting locations in the US and these are Los Angeles, New York, Chicago, Atlanta and Miami. Aside from housing production companies, these places are also where the biggest concentration of casting professionals, agents, directors, and even producers are staying. Although you can become an actor in the state where you are staying, if you really wish to have a serious acting career, you should seriously consider moving to these locations. Moreover, as film acting jobs may require you to be on location for shooting, you always have to be prepared to travel, when needed. Commitment and dedication are two of the main factors that could lead you to success in the entertainment industry. In fact, this is the formula to live your dreams. All you need is to let your passion in acting drive you to be on top. Once you have it, all else will follow. From here, you will recognize that an acting job will no longer be ‘work’ as it is defined, but it will already be fun. TV actors play the characters on a TV show or series. The great thing about being one is that you can work it both ways. Aside from acting for the small screen, you can easily transition to acting on the big screen. So, what’s the difference between a television and film acting jobs? Unlike in film productions where your emotions and gestures are more detailed, TV productions often require less. As a matter of fact, casting directors tell actors during auditions to perform less. This is because in portraying a character on TV, there is less time to reveal your emotional journey. Above all, your passion is a tool that will drive you to be successful in this career. There may be a number of acting jobs you can find in your area, but if you do not have the passion to act, you will never succeed. Although an acting school can polish your talent, discover it before anything else. In a nutshell, your talent along with your passion will lead you to make your dreams come true. An audition is the first step in becoming an actor. This is where casting directors recognize your acting abilities. You can find a list of casting calls online or in your local newspaper. Submit yourself to the auditions you deem suitable to your looks, skills and personality and show the casting professionals what you got. Another trick in finding acting jobs is to meet with people and create a network. With this, you might be able to find work opportunities through the contacts you meet along the way. Keep on trying no matter how many times you have auditioned and got rejected. It could only be about your resume or headshot. Just make sure to prepare a complete and updated resume as well as a headshot that best represents how you look at present. And, you also have to make it a point to arrive at your audition at least 15 minutes ahead of time. Aside from allowing you to register and fill out forms without having to hurry, this will also leave a good impression among the casting people. Theater actors perform in plays and other live productions including skits, cabaret shows, and dinner theaters. Overall, they perform and entertain the audience while they are on stage. Although there are a number of areas like New York and Chicago where theater productions are very common, getting into this kind of career can be competitive. Compared to acting in front of the camera, theater acting demands for a wider range of focus. The entire stage is considered a black box full of emotions. Theater requires your acting skills to be magnified, since you will convey the character in front of a live audience, who may be sitting way up and away from the stage. You have to allow them to imagine and really believe the role you are playing by your actions and the emotions in your voice. A lot of actors who seriously want to have a career in theater enroll in formal acting institutions and with such degrees as Bachelor of Arts in Theater. This kind of formal training will equip you a career in this field. Although it is not necessary, earning a good education will help you cope with the challenges in this competitive industry. You can also enroll in short-term acting classes or workshops to learn some acting techniques and skills. Theater directors want their actors to perform and act naturally, but in an exaggerated way on stage and this is one of the skills you need to master in becoming a theater actor. Acting in theater is different from TV and film acting. You will not have any time to review your performance, you just have to show your talent. Remember, there are no takes when you’re on stage. When you start acting, the audience will look at you. You can find a number of theater auditions for 2015 in your local newspaper and even on the Internet. There are also theater groups that will hire potential actors to be part of their productions. Even if you fail on your auditions, never give up. Continue to keep your head up and work at arriving that day when you will get the call that you have landed a role. As you may have already learned, passion is a very important factor in pursuing your dreams. This, combined with dedication and focus, will help you pave your way to becoming a good theater actor. These are the qualities you should have if you really want to succeed in getting yourself a solid acting career in theater. 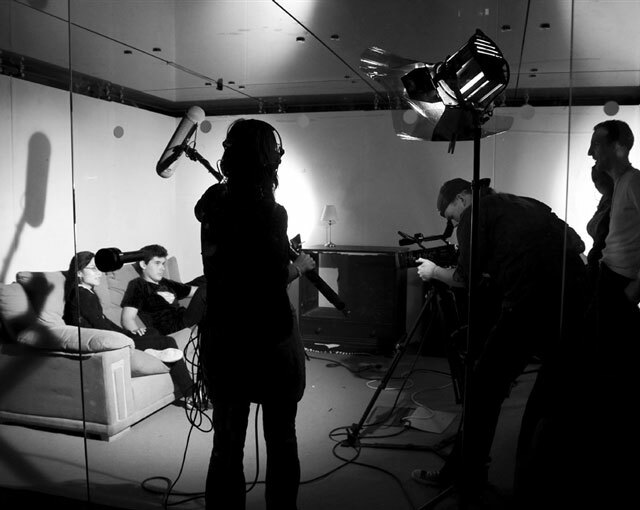 Oftentimes, aspiring actors who want to have a break into television or film start their career in commercials. This is a great stepping stone as commercial actors are also required to have the same qualities of a serious actor. This meas that you also have to be talented, willing, and most of all, passionate about working with professionals in the industry. 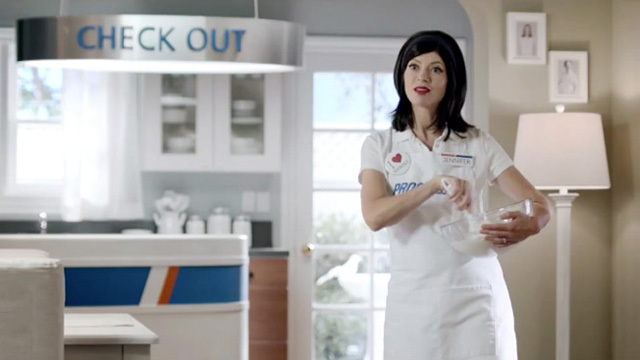 Acting in commercials involves focusing on your performance as you deliver the marketing message. You need to understand and know how to analyze the advertising copy provided. If you think becoming a commercial actor is tough, think again. The guide presented will lead you the way to become a commercial actor. You may have probably looked into the beauty of commercial acting while you’re watching TV. You can see how actors show their expressions as they act and convince every viewer to buy the product. Moreover, you have to understand the process of becoming a commercial actor carefully, before diving into this kind of job. Just as any other type of acting job, auditioning is the key to get that dream commercial job. There are no formal education requirements if you want to become a commercial actor. Auditioning for the role is what is needed. You can find a list of casting calls online. In fact, when you register at these talent resource sites, you will be able to audition right away. You can also work your way to becoming a commercial actor by starting as an extra or a background actor. Once you have this work experience on your resume, better opportunities will be open to you. Say you have submitted yourself to the talent agencies or production companies, understood the job and the field of career, this third step will enable you to have the job of your life. Keep on acting and continue to reach for your goals. This may be the last on the list, but this definitely isn’t the least of all the types of career in the industry. As a matter of fact, most of the famous actors you know started their career as an extra. Consider this as the first step to your journey in becoming an actor. Background actors are not required to memorize any lines. They usually appear in background scenes. Because of this, they are commonly known as background performers. 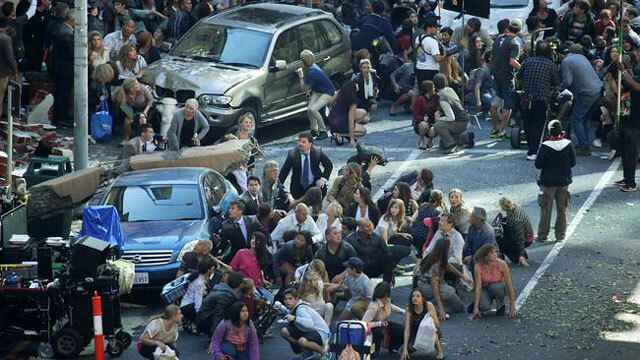 You will recognize extras walking on the streets, sipping coffee or being one of the crowds on set. In order to become an extra or a background actor, all you need is to be ready and most of all, be willing to perform the roles in each scene. The Internet has a pool of open casting calls for extras. Whether it is for a movie or a TV show or series, you can find reputable resources that help in the placement of your talent and skills. You just need to develop the keenness in looking for movie extra jobs. Once you have been chosen to be part of the ‘human’ background, you need to be nice to everyone. Most successful extras land bigger roles simply because they have the drive and will to getting a serious career in the industry. Directors, agents, and even producers know how to recognize your desire and this will pay in the end. 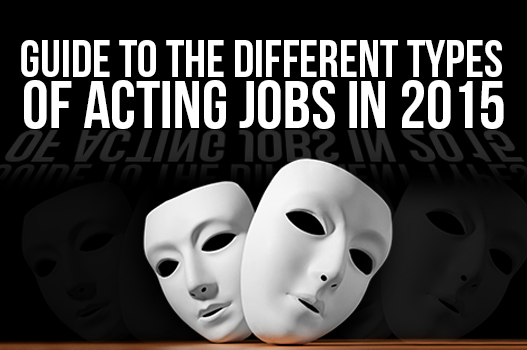 Now that you have discovered the different types of acting jobs in 2015, you may recognize that there are a couple or more steps common to each field. Other than hard work and determination, each step will open up new possibilities for you that will allow you to become a winner in the industry. Just be patient at all times. Remember that this journey is a process and you will need to take it one step at a time. There are no techniques that will bring you overnight success. But, if you will work at polishing your talents and skills as you progress in the industry, you will surely get the kind of acting career you are aiming for.